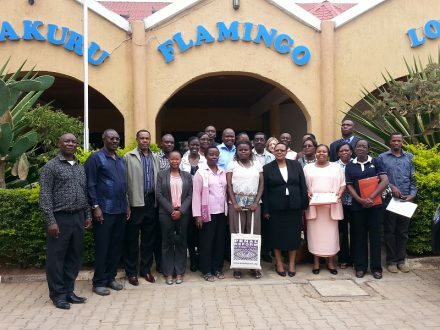 In April, 18 staff from the Kenyan Probation and After Care Service and two senior officials from the Prison Department took part in a three-day PRI training on women offenders and the UN Bangkok Rules in Nakuru, Kenya. The staff came from a number of districts in Kenya and the training was intended to provide the staff with the skills and materials to improve the treatment of women offenders in their work and to pass on their knowledge to their colleagues. 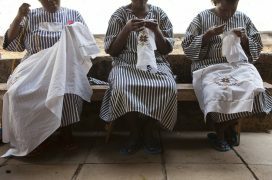 The course covered the typical backgrounds of women offenders, their special needs, the UN Rules on the Treatment of Women Prisoners and Non-custodial Measures for Women Offenders (the ‘Bangkok Rules’), and how the Rules could be applied in Kenya. 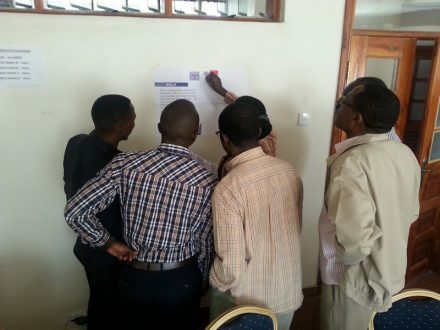 Participants in the Nakuru training pledged to become ‘champions’ on women offenders, training other officials, and working on adapting pre-sentence reports, prison and probation protocols and guidance, gender-sensitive community service placements and rehabilitation measures.100% of participants that completed a survey at the end of the course (17), stated that they would be changing the way they worked as a result of the training. In July, we contacted a number of the participants to find out whether they had indeed managed to use what they had learnt in the training to improve their work with women offenders and whether they had shared their knowledge and materials with colleagues. Many reported that on their return to work they had raised awareness and trained court users’ committees, magistrates, probation officers, police and case committee members about the needs and treatment of women offenders and the UN Bangkok Rules. Here are some snapshots. Shortly after the training, the participant from Makindu, a small town on the Nairobi / Mombasa high road, attended a meeting of a court user’s committee who were discussing the construction of a new court at Makindu with the contractor and the works officer. She also attended two female offenders’ meetings to raise awareness amongst female offenders, informing them of their rights and asking them to report any abuses. Another participant went on to train 52 officers working and handling support functions in Probation Hostels and Daycare Centres. These included instructors providing vocational training to offenders, cooks, and security wardens. The officers were taken through the Bangkok Rules to understand how they could better support women in their institutions. Members of the Kenyan Inter-ministerial Special Needs Offenders committee also attended the training and its training committee has now agreed to include Bangkok Rules promotion and compliance into their 2015/2016 departmental work plans. PRI is continuing to work with the Probation and After Care Service to follow up on the training and recommendations. In September 2015, we will be starting a project to conduct research into the situation of women on probation and community service in Kenya to design and pilot a more gender-sensitive probation and community service programme. A short accessible guide to the UN Rules for the Treatment of Female Prisoners and Non-Custodial Measures for Women Offenders (the 'Bangkok Rules').